It is recorded in the Surangama Sutra that Shakyamuni Buddha, Manjusri Bodhisattva and Quan Yin Bodhisattva unanimously proclaimed the Quan Yin Method to be the ultimate method for attaining liberation, and also the speediest and safest method for sentient beings to attain Buddhahood in the last period of the Dharma. In this , you will hear Master's thorough explanation of this topic. She also gives incisive talks on the importance to spiritual practitioners of preserving sincerity and purity of mind, transcending the karmic transmigration cycle, the risks of learning magical powers and why it is necessary for meditators in samadhi to be shielded by protective power. In Shurangama Sutra, it’s recorded that Buddha, Manjushri Bodhisattva, and Quan Yin Bodhisattva all highly praised the Quan Yin Method, saying it was the ultimate method that promised liberation and was the fastest and safest method for spiritual practitioners in the Dharma Ending Age to reach Buddhahood. Concerning this saying, Supreme Master Ching Hai delivered a brilliant discourse. 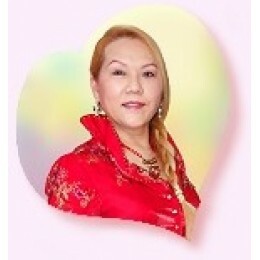 She also explained in simple language why it is important for spiritual practitioners to have sincerity and purity of heart, how to transcend the cycle of transmigration, what the dangers are of learning magic, and why one needs protection in deep trance.